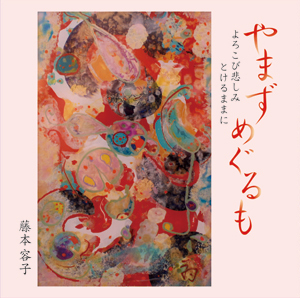 ﻿ [Kodo Online Store in English][CD] Yoko Fujimoto "Yamazu Megurumo"
All Items > CDs > [CD] Yoko Fujimoto "Yamazu Megurumo"
[CD] Yoko Fujimoto "Yamazu Megurumo"
Item Name [CD] Yoko Fujimoto "Yamazu Megurumo"
Yoko Fujimoto's second solo CD will be released in March. "Yamazu" means without stopping and "meguru" means to go around. The album title alludes to the mysterious circle of life and the myriad encounters within it. For this album, Yoko has specially selected seven pieces from her collection of treasured songs to date.